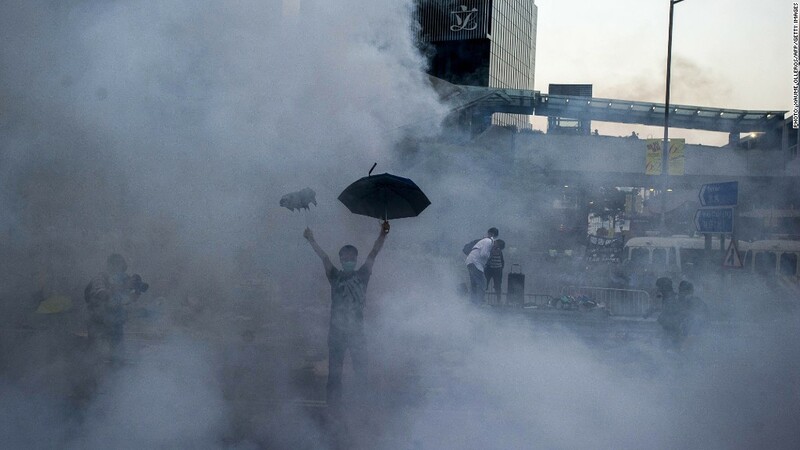 Police fired volley after volley of tear gas at protesters on Sunday, an unusually heavy-handed response that appeared only to galvanize public support and draw thousands of additional demonstrators into the streets. 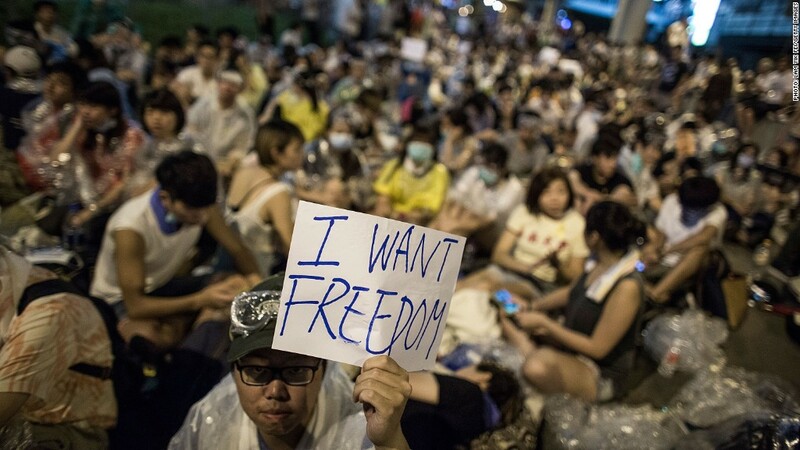 The protesters want free and open elections in the Chinese territory, while Beijing has proposed a process that would allow it to screen candidates for the city's top office. 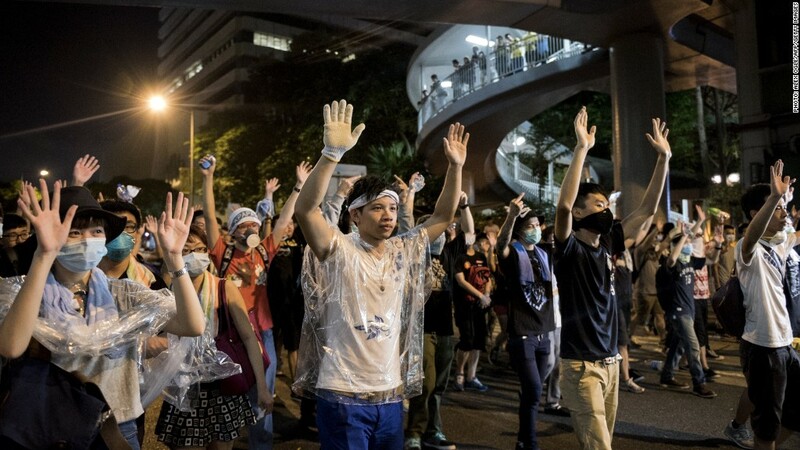 The most visible pro-democracy group -- Occupy Central With Love and Peace -- had planned to launch a campaign of civil disobedience actions designed to snarl traffic and disrupt operations in the city's business district starting Wednesday. But the group was jolted to a start after student demonstrations gained momentum over the weekend. At the protest's peak, tens of thousands of protesters jammed the streets around city government headquarters. 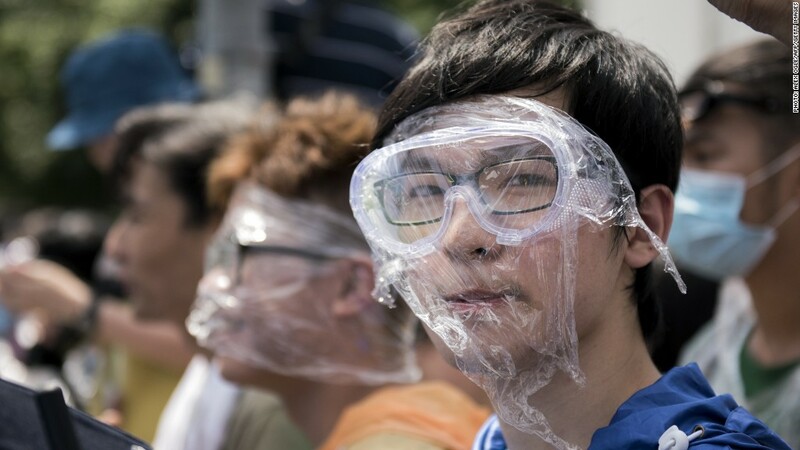 The protesters, many of them students, donned homemade masks of goggles and plastic wrap in an effort to protect against pepper spray and tear gas. 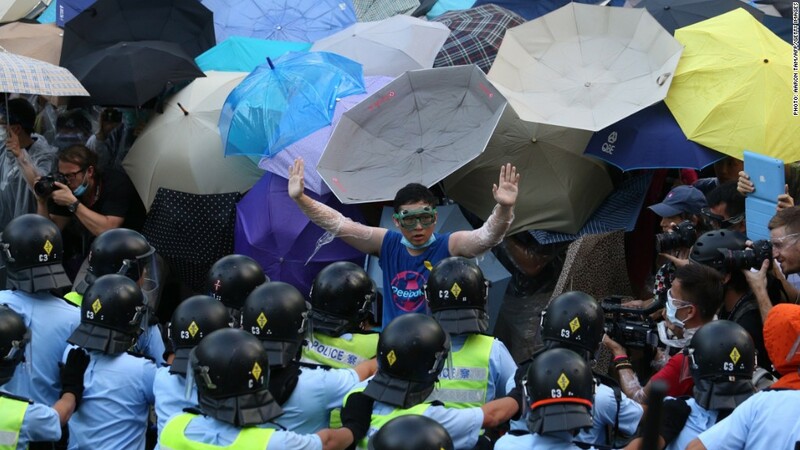 The movement has been dubbed the "Umbrella Revolution" on social media after protesters used umbrellas to shield themselves. 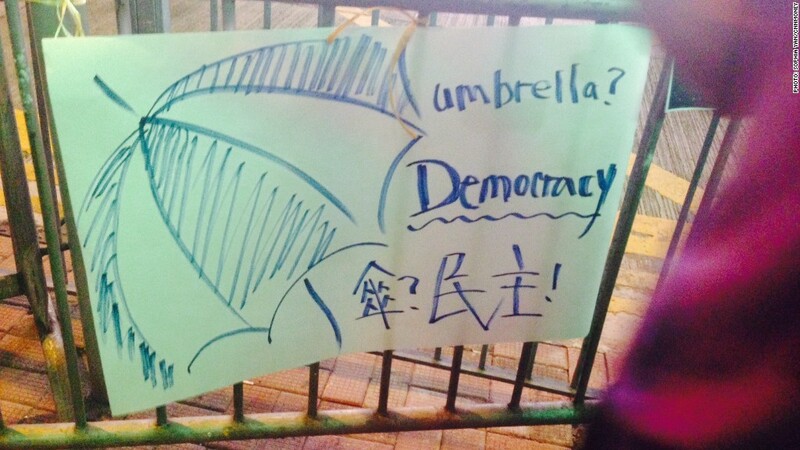 Many protestors are upset that city officials haven't done more to recognize the movement or safeguard the rights of Hong Kong people. 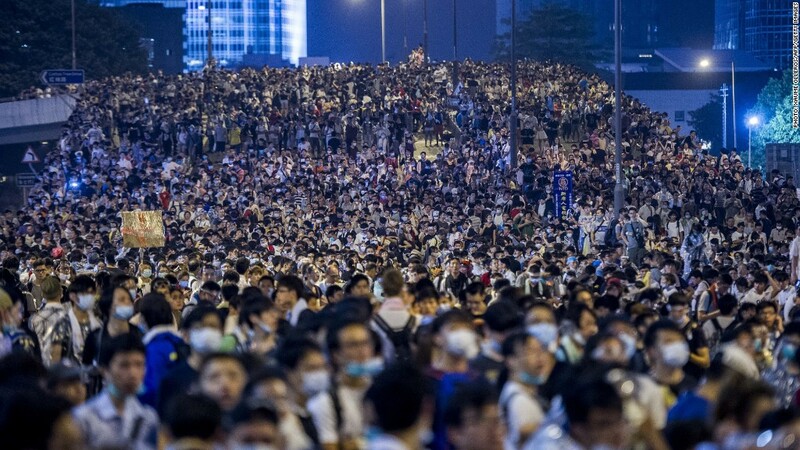 "My biggest concern is that the [Hong Kong] government is not there to fight for us," said Kristy Lee, a 16-year-old student. 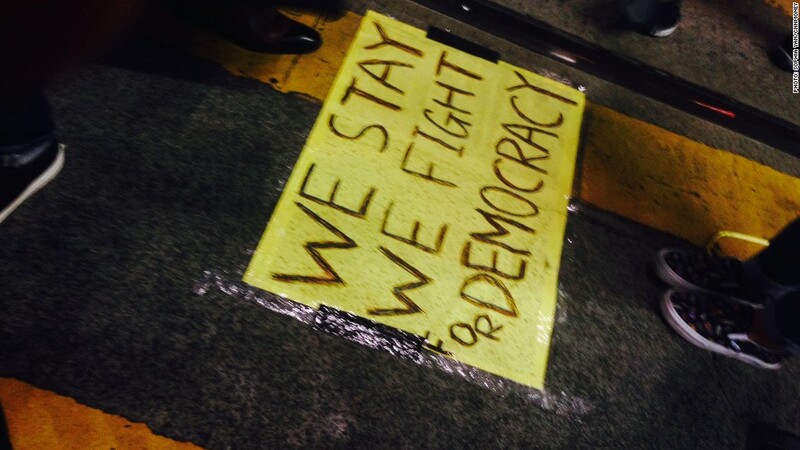 Hong Kong Chief Executive CY Leung "is just working for the government of China -- he doesn't really listen to us, even though we fight for so long. That's why we are here -- we have to speak for ourselves." Some university professors have canceled lectures in order to join students. Many primary and secondary schools were also closed, along with some banks. 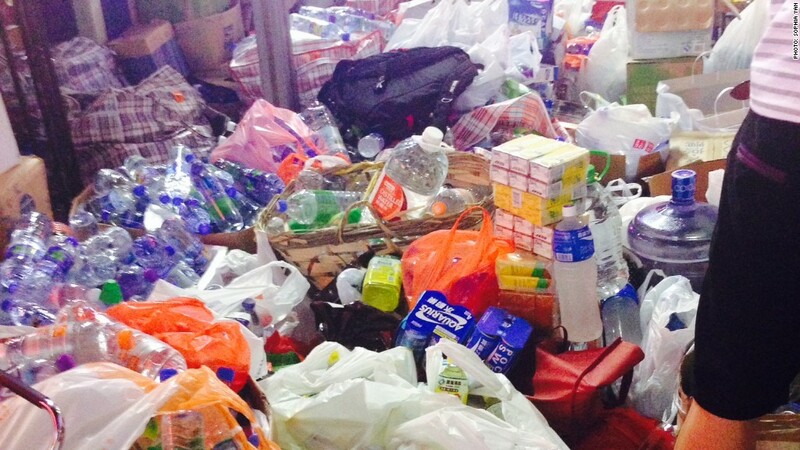 On the streets, supporters worked to distribute donated food and drinks to the protesters. 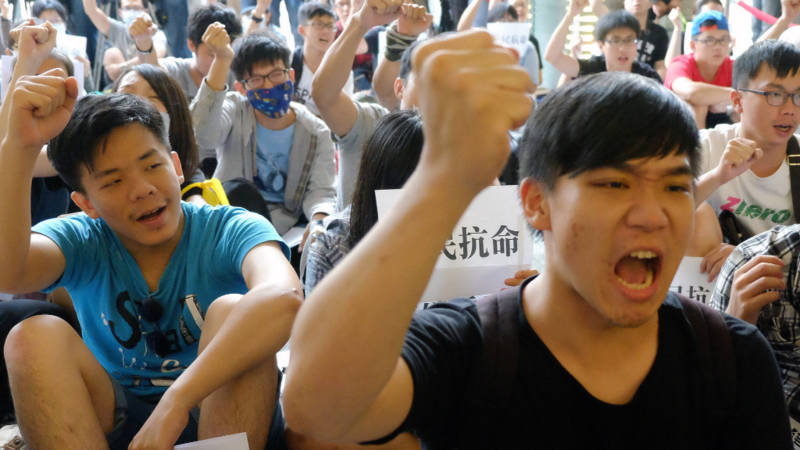 "We uphold democracy, freedom of speech, freedom of assembly," said university student Aaron Koo, 20. 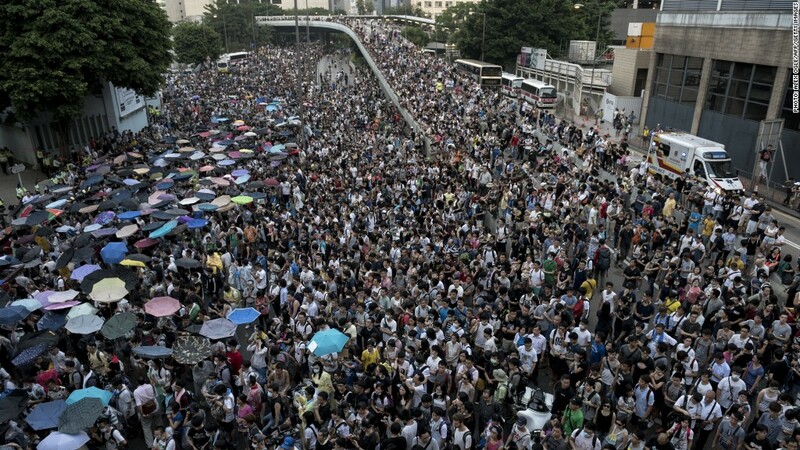 "By all means, [the protests] will be good for the reputation of Hong Kong. Who should be ashamed? 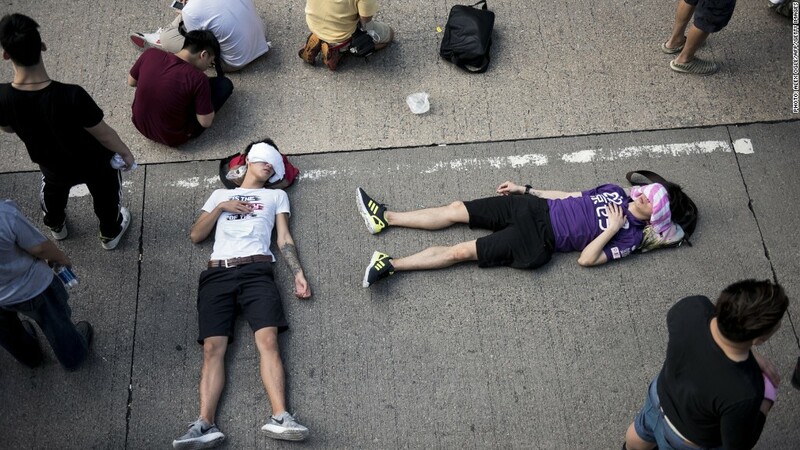 The government of Hong Kong, but not the Hong Kong people." Others say they're also protesting to bring attention to social inequality. "We cannot afford [an apartment], we could not have a shelter [even though] we work all the time," said Kaley Lau, 25, who works as a nurse. Lau said she asked for time off in advance prior to this week in order to participate in the protests. "Inequality has become bigger and bigger -- that's why we all have to stand out and tell the government how we feel," said Ken Tsui, a 36-year-old movie director. "All the policies [are] leaning to the top tier of the rich -- this is not healthy, and they will keep doing this, so we have to stop it right now." Supporters said they feel it's necessary to speak out now. "I have to do something right now to protect my [future] sons, my grandsons, my family, my future," said hospital worker Nickel Lau, 25. "Because maybe if I don't do it now, later I cannot do anything." 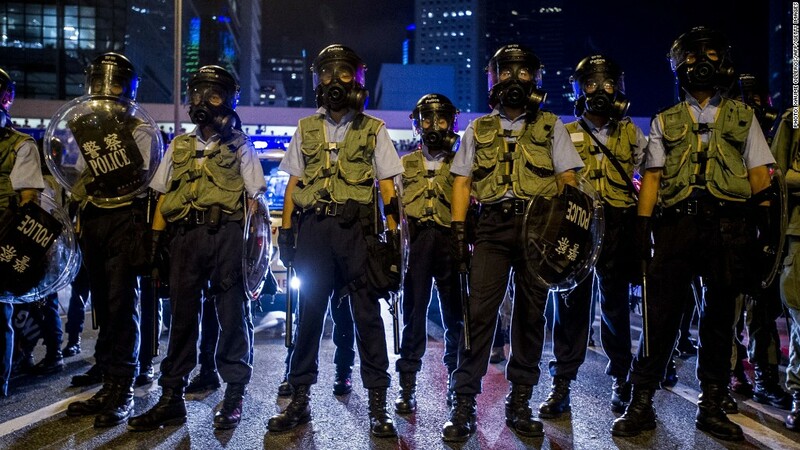 While protests are common in Hong Kong, the deployment of riot police and the use of tear gas is unusual. Police said they had arrested 78 people. "Hong Kong people [have] quite good self-control -- they clean, they help each other, they clean the rubbish," said Tobey Tang, 30. "They try to just sit here, don't fight with the police." Protesters continued to crowd several key points across the city on Monday morning, even occupying a stretch of Nathan Road, one of the busiest streets in Kowloon. 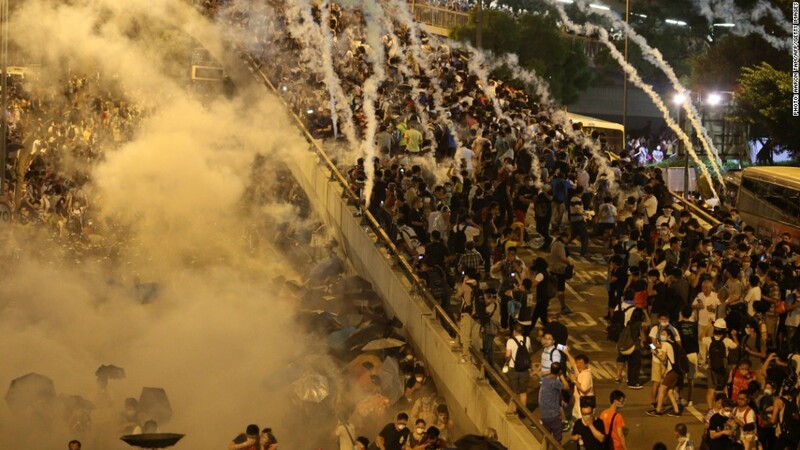 "We try to make some noise so the whole world can know our situation," said Kaley Lau. "This issue will affect the economy," Kaley Lau said. "If the government turns so bad, Hong Kong will lose its attractiveness -- it's the system which attracts foreigners to invest with us." While Hong Kong's exchange was functioning normally on Monday, the benchmark Hang Seng Index was trading sharply lower, giving up close to 2%. The Hong Kong Monetary Authority said it was prepared to provide additional liquidity as needed. "I don't mean that we hate China," said Tang. "We [are] still both Chinese; we [are] still family, but we need policy to make life in Hong Kong more easy."